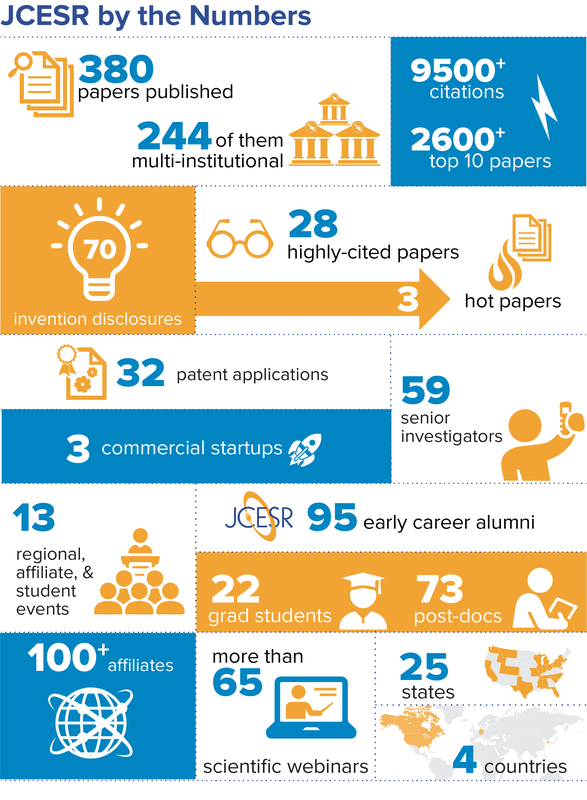 In the first five years of JCESR, our 150+ researchers hailing from 20 institutions published 380+ papers, submitted 32 patent applications and 70 invention disclosures, and launched 3 startups. Our community reach includes 95 JCESR alumni and 100+ affiliates hailing from 25 states and 4 countries. 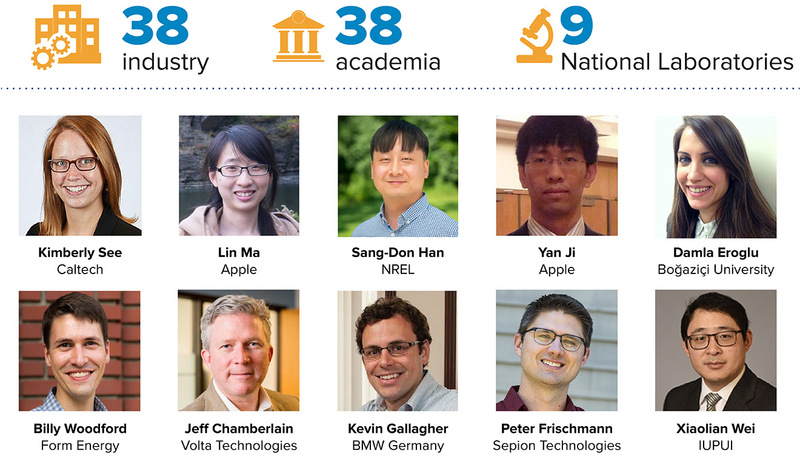 JCESR’s 95 alumni span graduate students, postdocs, and mid-career researchers who represent our legacy in universities, national laboratories, and private industry worldwide. This human capital is one of our most impactful and enduring contributions to the energy storage community. Our reach extends to an impressive group of alumni who represent the JCESR legacy through national laboratories, universities and industry.